Welcome back my lovelies, I hope you have all had a really nice week. I have had a sinus infection all week so not much happening here other than lots of tissues, nasal spray and Lexi cuddles. In all honesty I love the Winter but my body not so much, as I always seem to be catching anything and everything I come into contact with. The joys of having a low immune system I suppose. 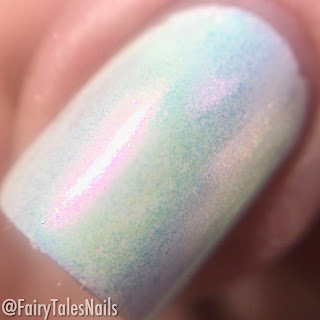 Anyway enough of that let's get into some pretty nail powder I was recently sent to show you. As we all know pigment powders are taking the nail world by storm, and today I have one of the many powders available at Beauty Big Bang. These are usually applied over a gel polish and each base colour will change the final look of how the powder will look on your nail. The powder I chose is from their neon pigment range, I applied it over a white base and it gave an iridescent unicorn look. 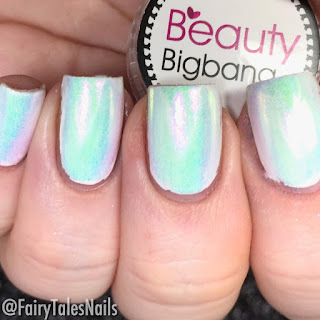 This powder shifts from a green to purple to pink, I fell in love with how this looked on my nails. Instead of doing them over a gel polish base I used a white creme and then used the SuperChic Lacquer G-Force X base coat, which gives it that tacky layer to burnish the powder into. 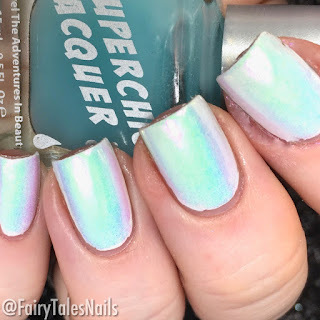 Out of the few powders I have tried this was a really nice one to work with, for my top coat I used UNT which is water based so didn't dull the look of the powder. 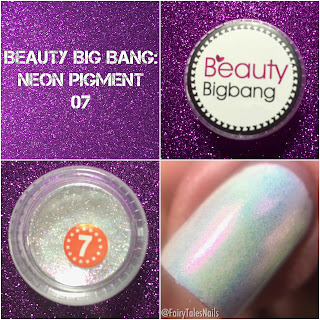 This is available now at the Beauty Big Bang website along with plenty of other nail goodies to choose from. I will leave links to the store and their social media down below so you can go browse. Don't forget you can use FAIRY 10 for 10% off your order. I would love to know your thoughts? Also if you have any other pigment powder recommendations let me know down in the comments.